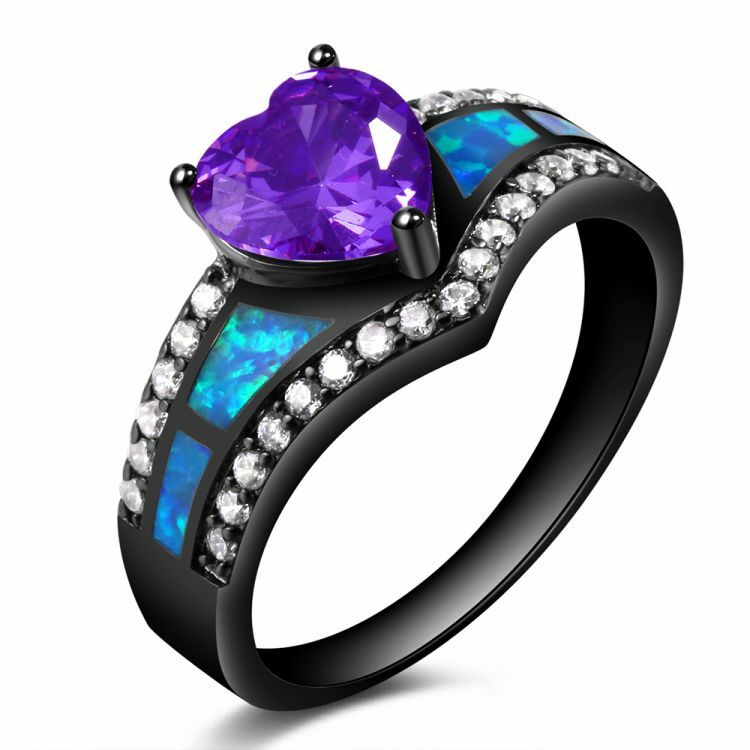 Stunning Black Gold February Birthstone Heart Ring! Perfect for all occasions. The main stone is Cubic Zirconia and the accent stone is Fire Opal. Buy one for yourself or for that special February baby in your life!